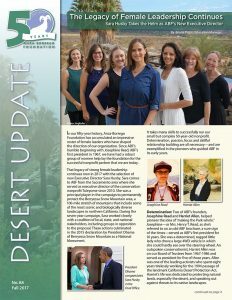 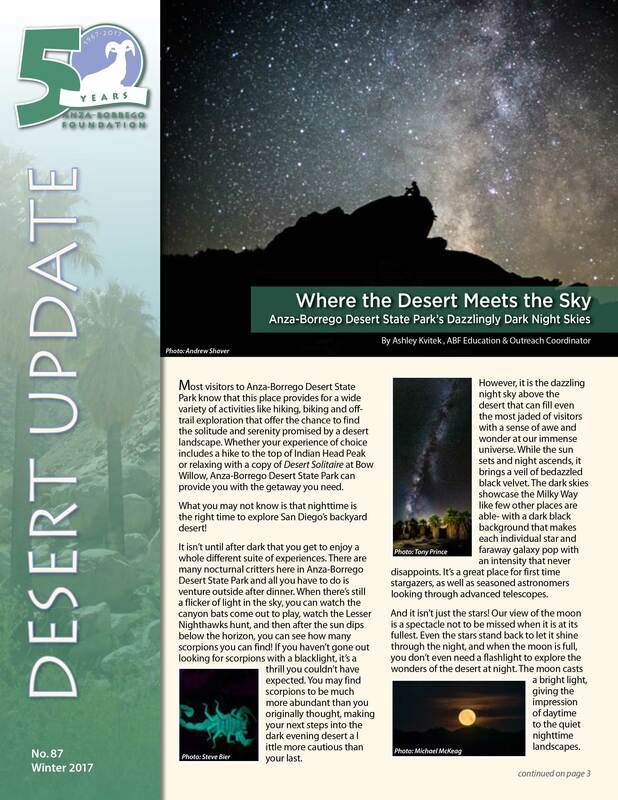 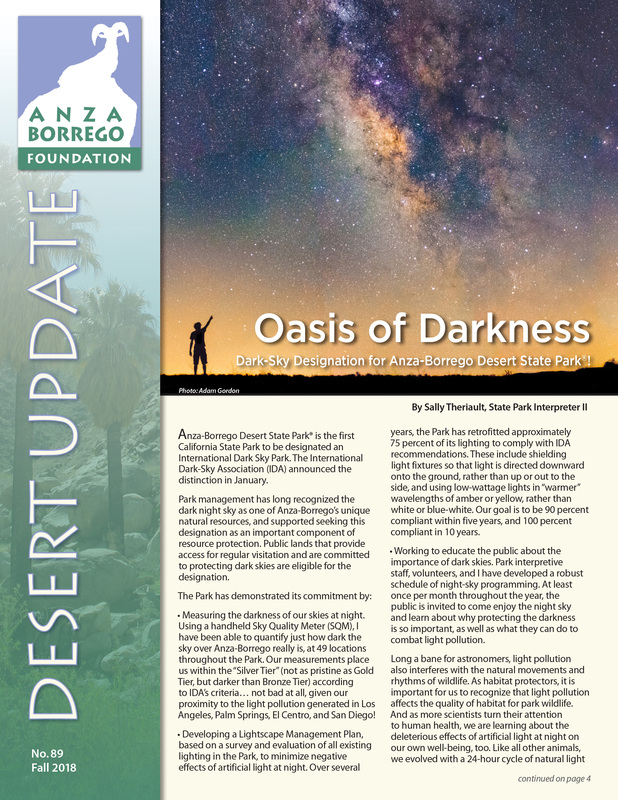 Stay current on Anza-Borrego Foundation news and events with the Desert Update, Anza-Borrego Foundation's newsletter and program schedule. When you become a member or donor, you'll automatically receive our newsletter by mail or email. 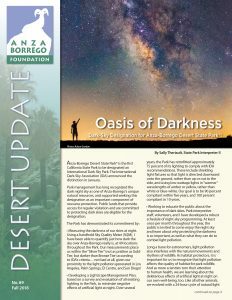 Current and past issues can be found below. Enjoy!